I would like to invite you to a Special General Assembly Meeting, scheduled for Sunday July 13, 2014 at 1:30 pm(just after Dhuhr prayer), at Masjid Ibrahim. The purpose of the meeting is to discuss and approve, if found acceptable, a proposal by a concerned group of our community members to create a United Islamic School by a merger of IAD and Tarbiyah schools. 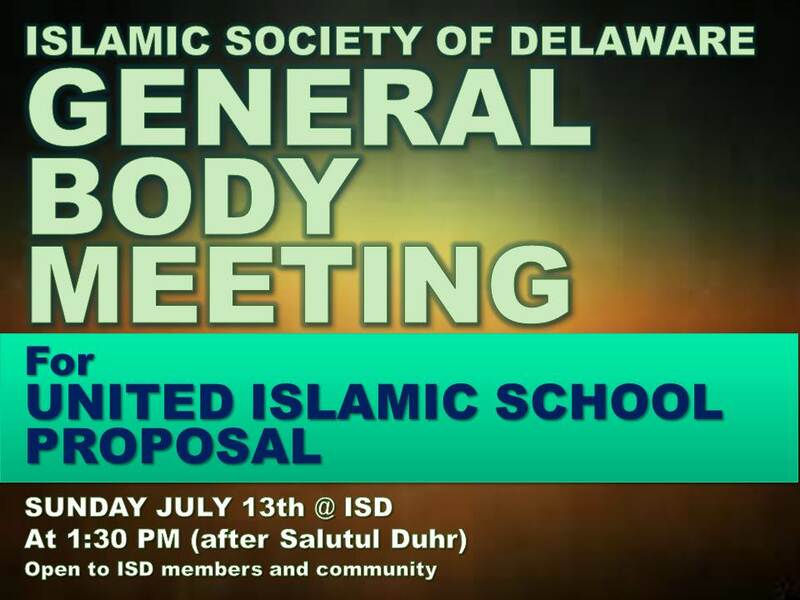 Please notice that this meeting is being tentatively scheduled while the proposal is currently under review for approval by ISD and Tarbiyah Boards. Upon their approvals, meeting will be confirmed and the proposal details will be provided to General Assembly members for review in advance of the meeting.